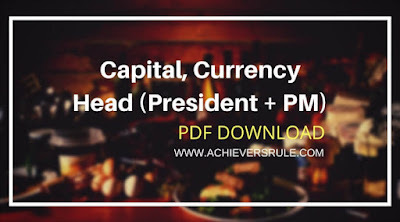 This Current Affairs update is comprised of all important headings for our upcoming exams.In this update we will provide it in a short heading with concise elaboration for each and every topic, like National News,Financial News, Appointments, Sports News, Obituaries etc.If any important static takeaways are there we will provide with each headings. 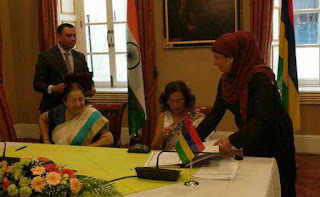 India and Mauritius have signed MoU in order to institutionalise cooperation between Parliaments. India and Mauritius on Saturday signed a Memorandum of Understanding (MoU) here to institutionalise cooperation between the Parliaments of the two countries. The MoU was signed by Lok Sabha Speaker Sumitra Mahajan and National Assembly of Mauritius' Speaker Santi Bai Hanoomanjee. Govt launches Tele-Law, aims at using tech to provide rural India with better legal aid. 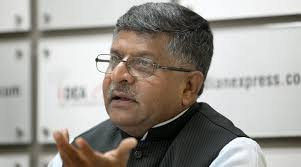 The Union government on Sunday launched ‘Tele-Law’ – a programme aimed at providing legal aid services in rural areas through digital technology. The programme is a continuation to the Access to Justice Project to Marginalised Persons implemented by UNDP in 2008. The pilot project is being undertaken by the Ministry of Law and Justice in collaboration with the Ministry of Electronics and Information Technology and will be launched across 1000 Common Service Centres (CSC) in Uttar Pradesh and Bihar and 500 CSCs will be tested in its first phase. Among the services offered will be video conferencing with lawyers so as to enable people seeking legal advice and counselling. A panel of lawyers from state capitals will also be provided via the National Legal Services Authority (NALSA). Legal school clinics, District Legal Service Authorities, voluntary service providers and Non-Government Organisations working on legal aid and empowerment can also be connected through CSCs at the panchayat level. Kolkata to get first Underwater Metro of the country. 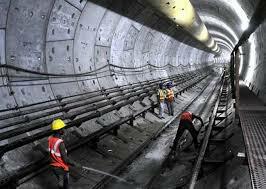 Kolkata is set to get an underwater Metro, which will use a transportation tunnel built under the Hooghly. This will be India's first underwater transportation tunnel. The Kolkata Metro transportation tunnel is unique to India because never before in the history of the country has a tunnel been made under a flowing river. The tunnel has been constructed 30 metres below riverbed, just a few metres away from the famous Howrah Bridge, built in the last century to connect Howrah and Kolkata. The GST Council has revised rate for 66 items. 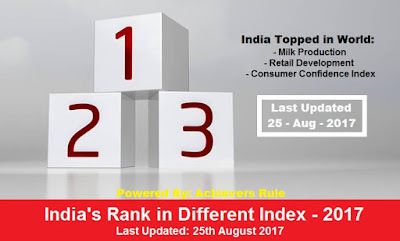 The Goods and Services Tax Council on Sunday decided to reduce tax rates on 66 items including cashew nuts, packaged foods such as sauces and pickles, agarbatti, insulin, school bags, children's colouring books, cutlery, and some tractor components. The Council has also reduced the tax rate on cinema tickets costing ₹100 or less. 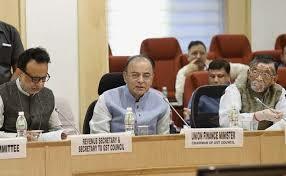 Finance Minister Arun Jaitley, while addressing the media following the conclusion of the one-day meeting in the capital, said that the tax rate on cashew nuts has been reduced to 5% from 12%, while the rate on sauces, pickles, mustard sauce, and other similar packaged foods has been reduced to 12% from the 18% earlier set. The rate on Agarbatti has been reduced to 5% from 12%, and the same has been done for insulin. The rate on children’s colouring books has been reduced to nil, while that on school bag has been reduced to 18% from 28%. The rate on components that can only be used in tractors has been reduced to 18% from 28%. 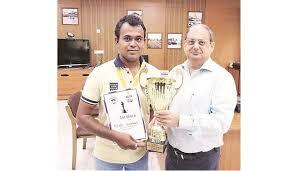 Shasikant Kutwal has won Gold at World Chess Championships for differently abled. Shashikant Kutwal, a railway employee with Pune Division, has won the gold medal at the 17th World Individual Chess Championship for differently-abled, held in Slovakia from May 27 to June 6, 2017. Kutwal (37), who works as office superintendent, has now attained the title of International Master. Odiya poet essayist Haraprasad das wins ‘Kalinga literary Award’. 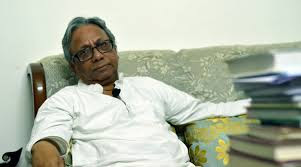 Legendary Odiya poet, essayist and columnist Haraprasad Das was conferred with the covetous Kalinga Literary Award on June 11 for his work and contribution to literature at the fourth edition of Kalinga Literary Festival (KLF). Das had also received the prestigious Moortidevi Award in 2013 for his book ‘Vamsha’ — a recreation of Mahabharata in the new idiom of contemporary poetry. He has published various genres to his credit, which include two works on development. The 71-year-old has 12 works of poetry, four of prose, three translations and ‘Adhunikatara Samakala’ ( a work of fiction) to his credit. A versatile artiste, Das is also known for acting in movies like Agun and Sampati, which were released in the late 1990s. He retired from civil services after more than four decades of experience. 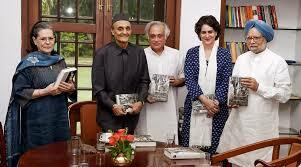 Former Union Minister Jairam Ramesh’s book on Indira Gandhi “Indira Gandhi-A life in Nature ” has been launched. Though she is remembered as a tough, no-nonsense politician, a relatively lesser known trait of Indira Gandhi – the naturalist in her – came to the fore at the launch of a book on the late prime minister today. The book “Indira Gandhi – A life in Nature”, was launched by Congress president Sonia Gandhi at the Indira Gandhi Memorial in the presence of former ministers, bureaucrats and environmentalists who worked closely with her to frame some of country’s landmarks wildlife and environment laws. 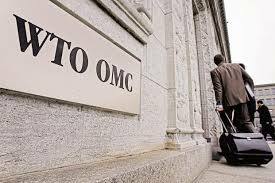 India drags US to WTO for not complying verdict on steel duty. India has moved World Trade Organisation against the US as it has not yet complied with the rulings of the multi-lateral body related to imposition of high import duty on certain Indian steel products. In December 2014, the World Trade Organisation (WTO) had ruled against the US imposing high duty on imports of certain Indian steel products. The WTOs appellate body had ruled that the high duty imposed by the US on the certain Indian steel imports was inconsistent with various provisions of the Agreement on Subsidies and Countervailing Measures. 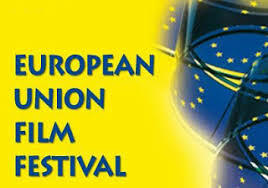 22nd Edition of European Film Festival (EUFF) has begun. The 22nd European Union Film Festival (EUFF) premiered at Siri Fort auditorium on Saturday with the screening of Estonian film Cherry Tobacco. The five-day event is being organised by the Delegation of the EU and Embassies of EU Members in collaboration with Ministry of Information and Broadcasting. Award winning movies from countries like Austria, Cyprus, Belgium, Bulgaria, France, Finland, Denmark, Czech Republic, Spain , Greece, Sweden, Italy, Hungary, Latvia, Poland, Slovakia, Slovenia among others, will be shown during the festival. Dhanya-Sanmay win U-14 Asian Junior Tennis title. 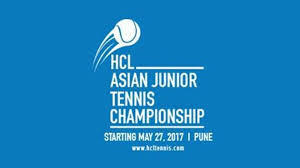 Dhanya Shah and Sanmay Gandhi clinched the Under-14 doubles title of the Asian Junior Tennis Championships at the Balewadi Stadium here on Saturday. Second seeded Dhanya and Sanmay defeated Vishesh Patel and Shashidhar Kota 6-4, 7-6(4) in the final. International Olympics Committee has approved new events for Tokyo Olympics. The International Olympic Committee (IOC) yesterday approved new events for the 2020 Tokyo. 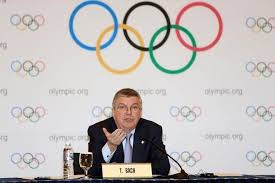 The IOC's Executive Board made the decision at a meeting in Lausanne, Switzerland on Friday., including a number of mixed-gender competitions. Indian Oriental Bank has launched retail mart in Thiruvananthapuram. Indian Overseas Bank (IOB), the Lead Bank for Thiruvananthapuram district, has launched the Retail Mart, a retail lending concept, in Kerala's capital city. The exclusive facility that handles retail products has started functioning at the main branch of the bank at Statue Junction in Thiruvananthapuram. 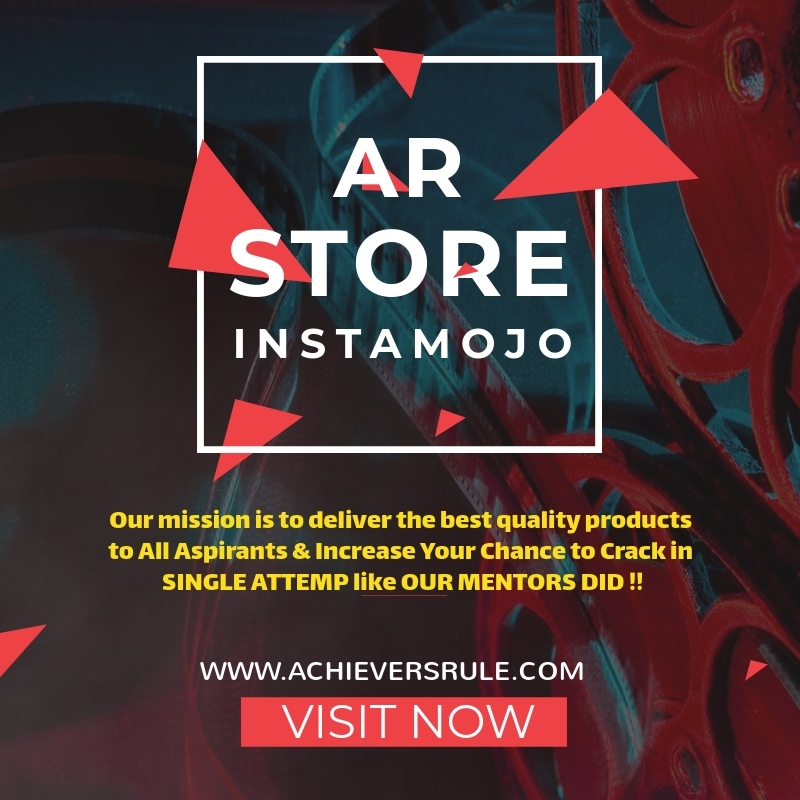 The Retail Mart has been designed with an aim to complete all the pre-release formailities at the customer’s door step and sanction quality retail loans at a competitive rate of interest with a minimum turnaround time. Abraham Shaji John, Senior Manager, who is in-charge of the Mart, told that the bank has identified Thiruvananthapuram city as an area with potential business opportunity. 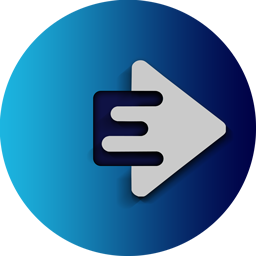 It is planning to disburse an additional Rs. 100 crore in retail loans during the current financial year, he added.